Beyond Your Blog’s blogger interviews focus on contributors who have had their work published on the sites you aspire to be on yourself. Today we’re talking to Mary Widdicks, who blogs at Outmanned, and who has been published in a ton of awesome sites in just a short time since she started her blog. Mary’s work is being featured in two upcoming anthologies, she has been featured on Scary Mommy, Mamapedia, Blunt Moms, In The Powder Room and many more sites, has won a BlogHer VOTY, AND has social media followings in the thousands — all in less than a year since she started blogging. Whew! In this interview, she is sharing how she makes all of us so jealous of her sidebar, how she got into 2 anthologies, and even how she got Freshly Pressed 3 TIMES! Mary give us some great practical advice in her interview. Beyond Your Blog: Tell us a little bit about your blog, Outmanned, for readers who may not have had a chance to visit yet. Mary Widdicks: It’s really just a place I can go to talk about the things that I want to talk about. My tagline is: When you’re the only girl in a family of all boys, sometimes it can be hard to hear yourself think, let alone have anyone else hear what you have to say. I’m constantly getting outvoted on things — the things that I want to do, things I want to talk about, and I know as the boys get older, things to watch on TV, and everything else. It’s going to be a boys world. So the blog lets me talk about what I want to talk about. At the moment, it’s mostly about my family and my experiences with little kids. When you’ve got two (soon to be three) kids under your feet, that’s pretty much all there is. BYB: I know you’re a relatively new blogger. When did you start? BYB: What writing background did you have before you started blogging, if any? MW: I guess I was always sort of hovering around the idea of writing. My second major in college was literature, so I always read, and did things like that, but I never really took a lot of creative writing classes. It wasn’t something I thought about as a career or something. As I went through college and grad school, I wrote some scientific papers that were published, but that’s a very different kind of writing. This is the first time I really ever put some piece of my creativity, and something I felt really strongly about, out there, and it’s really scary. BYB: I noticed that you added 2 anthologies to your list of featured work: Motherhood May Cause Drowsiness: Funny Stories by Sleepy Moms and Mom For The Holidays, both being published by Lisa Nolan and Monkey Star Press. How did you learn about them and what made you submit? MW: I heard about Motherhood May Cause Drowsiness first through my Facebook groups. When I first started blogging, one of the things I tried to do was get my name out there as much as I could, so I joined these writing groups and blogging groups to try to make connections with people. It didn’t take me long to figure out that this is how this game works. It’s a lot about who you know and I can write as much I want for my three blog subscribers but it just wasn’t going to get anywhere. I think she put a call for submissions out on one of the groups I was in and I just thought ‘Yeah! That’s in print so it’s really exciting!’. BYB: I know that you’re waiting to hear back on another Monkey Star Press anthology: Adventures In Potty Training and Other Bathroom Mishaps, and have plans to submit to Jen Mann’s anthology about advice for teenage girls. Have you submitted to any others? MW: The Mother of All Meltdowns: Real Stories of Moms’ Finest (Worst, Completely Awful) Moments has a sequel coming out about relationships, and I have submitted to that. BYB: When I spy on your blog sidebar, I see Freshly Pressed, Mamalode, Mamapedia, Scary Mommy and Blunt Moms just to name a few. How do you juggle all of your submissions and maintain your own blog? MW: When I first started out, I had it in my head that I would publish something on my blog every day, and I was writing every night and every time the babies would take a nap, and that got unmanageable. Since then, I have settled into a pattern where I try to publish something on Outmanned on Mondays and Fridays, which gives me the whole middle of the week if I want to try and write something for somewhere else, or catch up on anthology submissions etc. BYB: How often do you submit your work to other sites? MW: On average once a week, but it comes in fits and bursts. One week I might do five submissions and then I won’t do any for a while. Then they sort of trickle out, so it looks like I am submitting constantly, but I do tend to do them in bursts. BYB: Do you focus on a small number of sites at a time, or are you submitting to lots of places at once. MW: My strategy has shifted as I got more used to what I was doing, and figured out how it works. When I first started, I just carpet bombed everywhere I could find. I was going to send anything I could to any publication that I possibly thought would take it. I’d look down other blogger’s sidebars and look at the places they had been published and say ‘Okay, I want all of those!”. I just sort of threw everything out there, but once I settled in and saw which places fit with my writing style, I did start to focus more. For example with In The Powder Room, which was the most recent one I was published on, I waited for a couple of weeks, during which I visited the site and commented and shared and tried to get to where my name was being recognized and then I submitted something. I think that focusing on a site that fits with your style and will give you the most benefit is a good idea. BYB: How much time do you spend on submissions in an average week – including submission forms and writing original content to submit? MW: Probably 2-3 hours a week. BYB: For every acceptance you get, how many rejections would you say you get? Or maybe you’ve never been rejected? MW: If only. I’ve been really lucky, so I’d say its abut 50/50. There are some sites where I have been very lucky, and that do take most of the things that I submit to them, and then there are those like The Huffington Post, that just continuously ignore me. BYB: In terms of submission etiquette, what are some of the things you do after you get published to promote a piece, ensuring that it does well for the site, so you can earn your keep so to speak. MW: Anything that I put up (on my blog or elsewhere), I blast on social media. I put it up on Facebook, Twitter, Google +, Pinterest, and anything I can find. One of the things I found really helpful is finding communities of other bloggers who will go out and share mywork. If you have something that you are really proud of up on another site, you have these small groups of 20 people that you can say “Hey, I got this piece up at In The Powder Room and I really want people to see it”. You get 10 people to go to your Facebook page and share from there or share elsewhere, and suddenly your reach goes through the roof. When I’ve been on Mamalode (A site that pays on a scale based on page views for your article), that’s something that I’ve done. I’ve gone to the other bloggers that I know, and have developed a relationship with, and whose stuff I’ve shared before, and I’ve said ‘Hey, I’ve got this piece out there and I want to get a lot of views’, and they will help share it, which helps a lot. BYB: What motivates you to post on other sites vs. just keeping everything on your own blog? MW: Initially it was about getting my name out there. I was brand new, so I wanted to get my name to where other bloggers and writers would start to recognize me. So at first, I didn’t care what I got from it. I just wanted as many different bylines as I could get, in as many different places as I could. Once I settled in an had my own set of readers, I’ve been a little bit more selective about the places that I submit to. I want the bylines, but I also want to be on the types of places that will drive some traffic to my blog and possibly increase the size of my community, because really in the end, that’s what you want. You want to have your own individual community of readers who you can go to. If you want to self publish something in print for example, that’s what you need. BYB: What are some of your favorite sites for driving traffic to your blog? MW: In terms of driving traffic, far and away, Scary Mommy is the best. I’m not sure what she does, but her community of readers is just great. And I don’t know if it’s specific to who is reading or the way the site is formatted but I get loads of traffic. I’ve had two posts there and both times my Facebook followers and blog subscribers really increased. Freshly Pressed for WordPress bloggers is really good too. BYB: I’ve always thought of Freshly Pressed as this mythical beast out there that just appears out of nowhere to a select few bloggers, while the rest of us just wait and hope. Tell us how you got Freshly Pressed. BYB: Do you have any general tips for some of those sites like Scary Mommy where there is a lot of competition. MW: You definitely want to be a good reader by promoting their stuff and sharing posts on their site, because they do notice when people share their posts. As far as other tips, I think I kind of benefitted from not knowing what I was doing when I started. I wasn’t intimidated by these places I was submitting to, because I had no idea what was a big deal and what wasn’t. I was just sending stuff out. 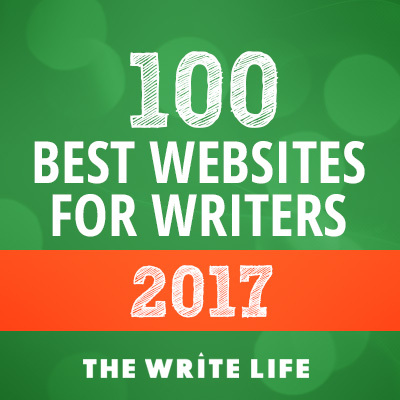 I’ve talked to lots of writers and bloggers who have been doing this a lot longer than me — people who I think are great writers and who I love to read, and I’ll ask if they have submitted to some of these sites and they say no because they are too nervous, even though they really want to. I get that now because I know HuffPost is a big deal for example, but I think I really benefitted at first because I just submitted and if I didn’t hear back, I submitted something else. I didn’t get my feelings hurt or worry about what it meant. Putting yourself out there is the best advice that I can give. BYB: What site is at the top of your aspirational list to be featured on right now? MW: Until recently In The Powder Room was a big one for me, and obviously Huffington Post. I’d like to start branching out into some of the sites that are not specifically for parenting. I’ve recently gotten into The Indie Chicks magazine, and I’d really like to write something for them. xoJane is another one. Many thanks to Mary Widdicks for sharing her tips and insight with us!